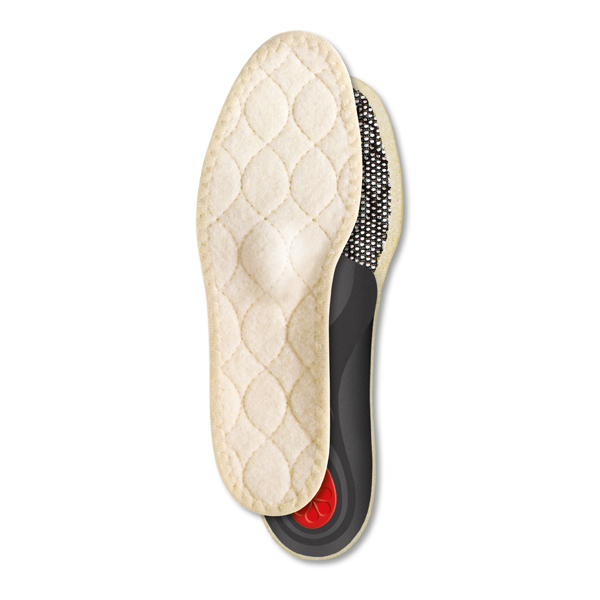 Three part winter insole with integrated arch support. Soft fine insulating wool top, sandwiched carbon filter to absorb perspiration and smells, with a reflective aluminium base for insulation. Anatomically shaped to relax stressed feet. Insulates with a high tech thermal shield. Protects against cold and damp. Keeps feet warm with 100% wool.